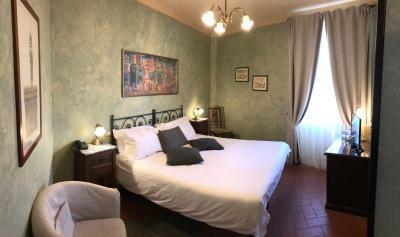 Lock in a great price for Bellavista Impruneta – rated 8.8 by recent guests! The owners were very attentive, kind and helpful. I enjoyed my stay very much. The wifi was great. Breakfast was perfect. 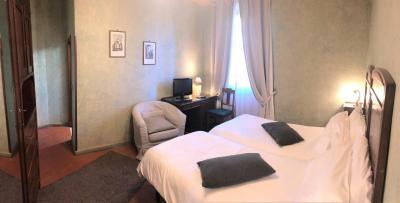 The room and bed were comfortable (I loved the comforter). The view from the terrace was beautiful. Highly recommended! Clean and cozy. Furniture wasn't new, but it was plus for more comfortable atmosphere, I felt like I was at home. The owner and the stuff were really, really kind and friendly, like we were old friends. - Amazing service from roberta and her family. - Great food and quite place to enjoy your holiday - a small town with great people - great value four a stay and they guide.you to your holiday destination. they even sell you the bus ticket where you can enjoy a day tour - amazing wine tour arranged by them. all in all, they are great family and they are ever so caring. their food is also great! really wished i could stay more to try all the dishes. 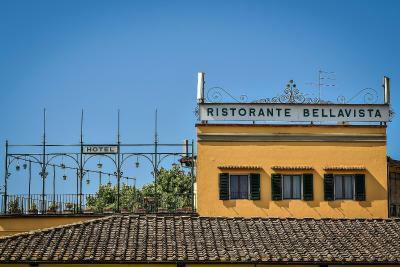 We stayed here while exploring Toscana for a couple of days. 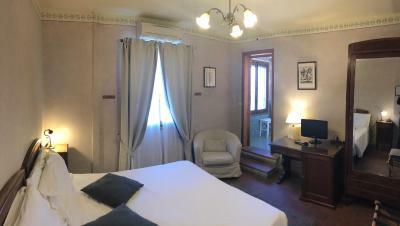 The room was comfy and what we expected, nothing to complain about. The owners are the most hospitable and fun people you'll meet and will give you a lot of tips about what to visit in the region. They make a mean espresso or hot chocolate for breakfast. I really enjoyed staying here, also because they were so nice. Super warm and personable welcome from the the owners of the hotel and all staff. Very attentive and flexible. They really made us feel at home. I highly recommend this hotel for the heart-warming feeling they give you. 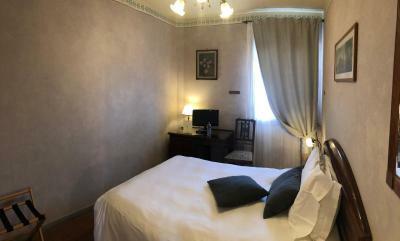 The hotel had a nice atmosphere and the room was quaint. English skills were also very good although they were modest about it. I would stay with them again in the future. Thank you! 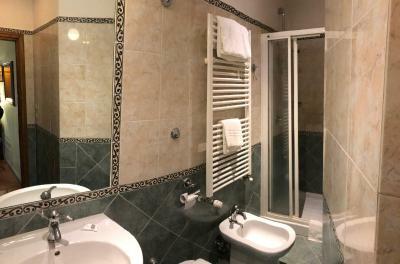 The room was comfortable, and so was the bed, the bathroom was well equipped. 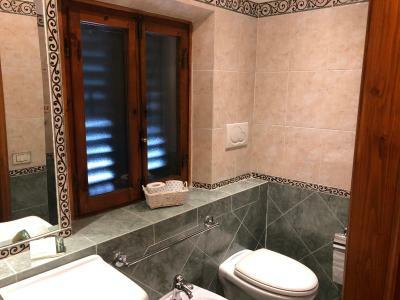 Many possibilities to park your car nearby, good breakfast, lovely terrace for the lunch or the dinner. Super location. The owner Matteo is very kind and helpful. He gave us really good and useful informaton for our trip to Florencia. 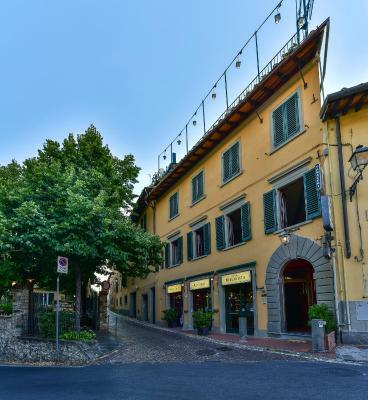 Bellavista Impruneta This rating is a reflection of how the property compares to the industry standard when it comes to price, facilities and services available. It's based on a self-evaluation by the property. Use this rating to help choose your stay! 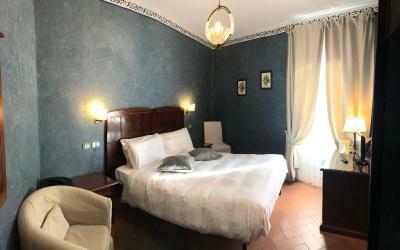 This 3-star hotel is set in the center of Impruneta and features a roof-garden with views of the main city square and the nearby Tuscan countryside. 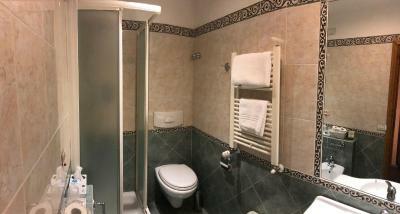 All rooms at Bellavista Impruneta are clean, spacious and equipped with a private bathroom, a hairdryer and satellite TV. 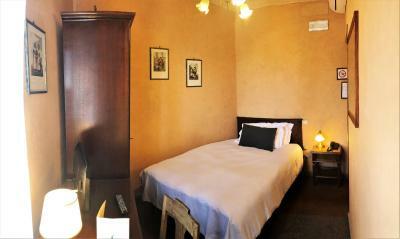 Bellavista also offers self-catering apartments that are a 10-minute drive from the hotel and set in the countryside. You will have free Wi-Fi access and free parking at Bellavista. The friendly staff will assist you with travel and tourist information. Bellavista is family run. 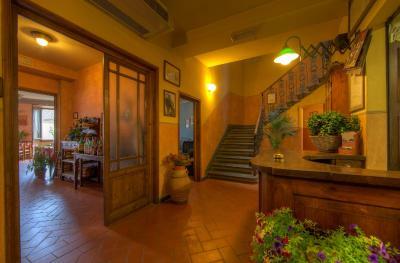 Servings traditional Tuscan food, the on-site restaurant has beautiful views of the surrounding countryside. 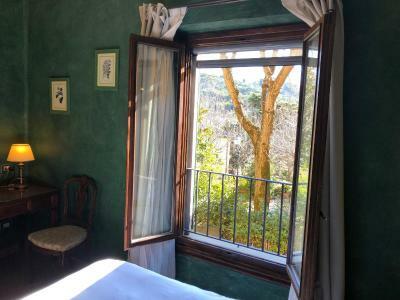 When would you like to stay at Bellavista Impruneta? 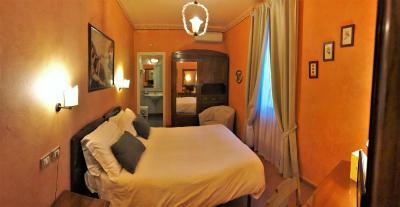 Bright, air-conditioned room with Tuscan-style furnishings, an LCD satellite TV and a private bathroom. Wi-Fi is free. 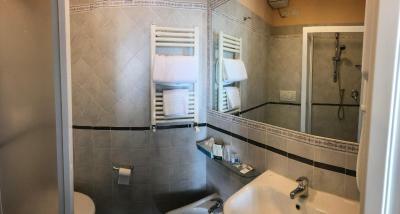 This smaller room includes satellite TV and a private bathroom. Wi-Fi is free. 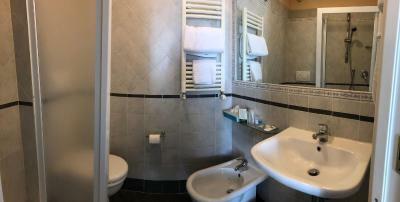 Furnished with a small double bed, this bright room comes with air conditioning, an LCD satellite TV and a private bathroom. Wi-Fi is free. 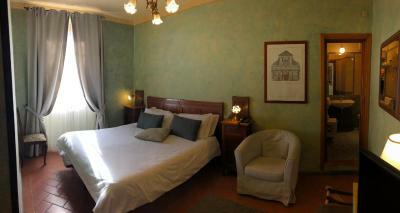 This double room features a view, soundproofing and air conditioning. 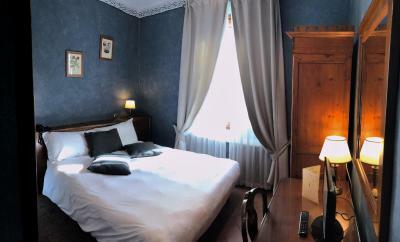 Opened in 1906, the hotel still maintains untouched the charm of last century, the style and furnishings with, in addition, all the modern comforts (air conditioning, Wi-Fi, sat TV, hair-drier). 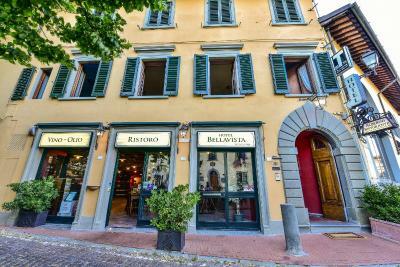 Bellavista Impruneta, runs since the beginning by the Becucci family is much appreciated for its warm and homely atmosphere, as well as being renowned for its restaurant. 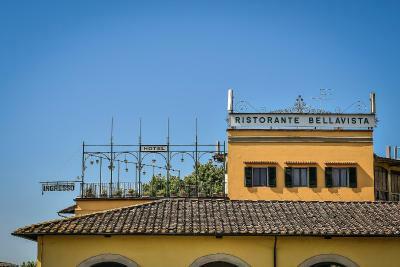 The excellent traditional cuisine offers Typical Tuscan dishes and a good selection of vintage Chianti Classico wines. House Rules Bellavista Impruneta takes special requests – add in the next step! Bellavista Impruneta accepts these cards and reserves the right to temporarily hold an amount prior to arrival. Room service is available at additional cost. The bar is open daily from 07:30 until 22:30.The restaurant is open daily from 19:00 until 22:30. Breakfast is served from 07:30-10:00. Very helpful and very kind staff. 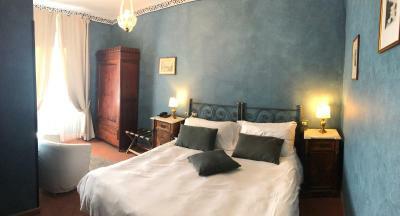 My husband Anthony and I celebrated our wedding anniversary with a week in Tuscany, and loved the hotel, our room and accommodations. Matteo and his family were incredible hosts- they suggested we book one extra night so we could attend the annual Festa dell Uva celebration which blew us away!! Festival is 4 competing pagents celebrating life, our planet; the seasons and weather; the grape and wine- it was breathtaking and unforgettable. Access to guest rooms is by stairway only, but staff was happy to assist us with our luggage. 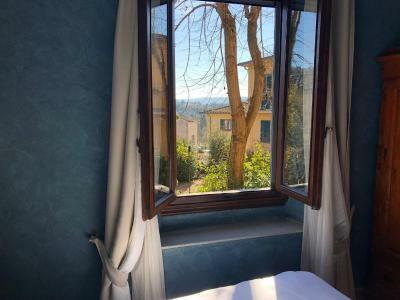 There is a beautiful roof deck and terrace with sweeping views, and Florence is a 30-minute bus ride away via CAP bus (tix are sold at the front desk, as are bottles of their house wine and pasta). The staff suggested local tours (terra cotta artisans and a private wine tasting at a 14th century estate). Property is beautiful and feels loved/treasured. Buffet breakfast included with breads/cereals/pastries/yogurt/juice/boiled egg/cheese/meats/olives and fresh fruit. There are two restaurants- we ate at each but preffered the upstairs restarant menu. Amazing pastas, huge steaks and ravioli. 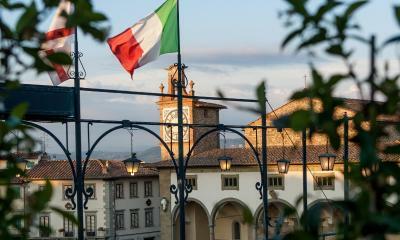 If you want an authentic Tuscan experience away from the crowds in Florence, this is it! We are definitely coming back next year. Somehow we always got to breakfast when most things were eaten. The re-supply needs to happen faster - with tomatoes, mozarella, cake, eggs etc. The rooms are located on the stairs leading to the restaurant, meaning that, as long as it is open, there is a lot of noise and it is not possible to fall asleep. Utterly genuine. One cannot fault either the location or the owner and his staff. Mention must also be made of a zero kilometres policy for food. Simple and seasonal. 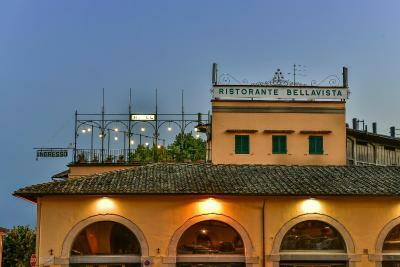 We stayed already in Bellavista twice, we love this Hotel and it’s Restaurant the food is amazing as well as the service if you want to experience the real Tuscan taste this Restaurant is a MUST to try. 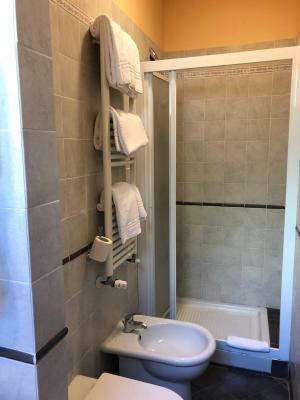 The staff are the most friendly and helpful people you will know, Bed is comfy, Breakfast is very Tuscany we have everything we need in our Hotel room or if you need something else you can always ask the Staff. Its a great stay we’ll be back next year!